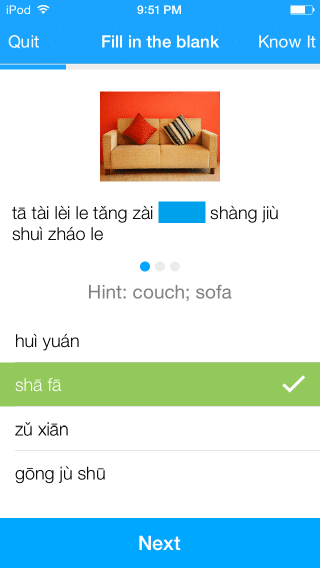 You hear a lot about how notoriously difficult Chinese is to learn. Is it actually that rough? The simple answer is “no,” but at the same time, no language is easy as pie to learn. It takes a lot of hard work to learn how to read, write, speak and understand a second language. Talk to any kid who grew up in a combined English-speaking and Chinese-speaking household. Or any bilingual person, for that matter! They’ll probably tell you that the younger you are, the easier it is to become bilingual. That doesn’t mean it’s impossible for adults to learn the language by any stretch, but children are surprisingly adept to learning a totally new language. So how can we bridge that gap? Can adults and children learn Chinese together, rather than having one as the instructor and one as the learner? Absolutely. And it can be a lot of fun, too! Watching Chinese cartoons is a great way to learn Mandarin with a child. In fact, interacting with any kind of Chinese media is a pretty handy way to learn Chinese on your own if you’re a beginner. Let’s look at how Chinese cartoon TV shows really pack a punch at teaching anyone Mandarin Chinese. How Can Chinese Cartoon TV Shows Help You Learn Mandarin? Some of these shows are bilingual and provide accessible mini-lessons within each episode to make learning a new language fun for kids as well as adults. While not all of these shows are bilingual, the ones that are can be very helpful for both newbie Chinese-speaking children and adults. While some of these shows are purely in Chinese, the spoken Mandarin is often slow and easy for beginners to follow. 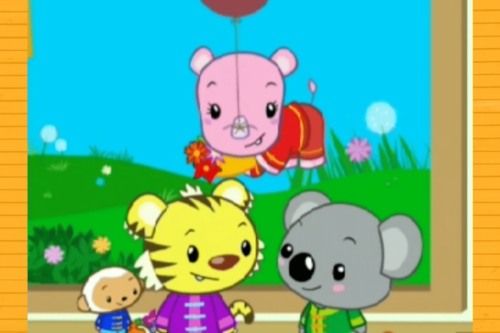 Because these shows are designed with kids in mind, the Mandarin Chinese dialogue is perfect for beginner learners. Many Chinese cartoon TV shows provide insight into Chinese culture that’s vital for all levels of Chinese learners. Learning how to speak, write, read and comprehend Chinese isn’t all you should learn on your language-learning journey. Understanding the culture in which Mandarin is spoken is also very important. Looking for more video resources that can teach you about Chinese culture alongside the language? 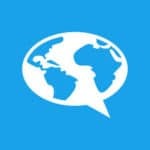 Check out FluentU! It’s an entertaining method to immerse yourself in Chinese the way native speakers really use it, while actively building your vocabulary. “Ni Hao Kai-lan” follows the adventures of Kai-lan, a young Chinese girl who goes on adventures with her animal friends. The episodes are lesson-based and aim to engage the viewer in answering questions and learning Mandarin. For the most part, spoken Mandarin is taught in addition to trivia about Chinese culture. “Ni Hao Kai-lan” is available to stream on Amazon. This show is entertaining enough that adults can enjoy it just as much as children, making it a great show to watch with your little one if you’re learning Chinese together. The learning level is low beginner, so those who know zero Chinese will definitely learn a lot from this show. Remy Bear is a storytelling panda who shares funny, cute tidbits about his friends and their happy lives. This is a super uplifting show, whether you’re a kid or not. “Our Friend Remy Bear” uses storytelling to teach children about social skills and kindness. It also, of course, teaches Chinese. This all-Mandarin show is available on Amazon streaming and includes English and Chinese subtitles. Because fluent Mandarin is spoken, this may be a little too difficult for just anyone to watch and enjoy. It’s well-suited for learners aged six and up or for adults who already know a little Chinese. This is definitely useful for adults as well as children. The segments are simple and easy to understand. Absolute beginners through beginner-intermediate learners will enjoy this series on Amazon streaming. This one is a classic straight straight from CCTV in mainland China! “Pleasant Goat and Big Big Wolf” aired in 2005 but is still great to watch and relevant enough for children to enjoy. In this Chinese cartoon, a group of lambs and sheep live in harmony on a lovely pasture until Gray Wolf and his wife decide to move in and become a problem for obvious reasons. This show could be considered a comedy and slice-of-life show rolled up into one that’s palatable for both children and adults. All of this show’s episodes are available on Youku and exclusively have Chinese subtitles. Even though this the main demographic is ages four through six, it would be best if the viewer had a couple of years of Chinese language experience under their belt to be able to catch on. Still, this is a great one for adults and children to enjoy together as there’s quite a bit of hidden adult humor. 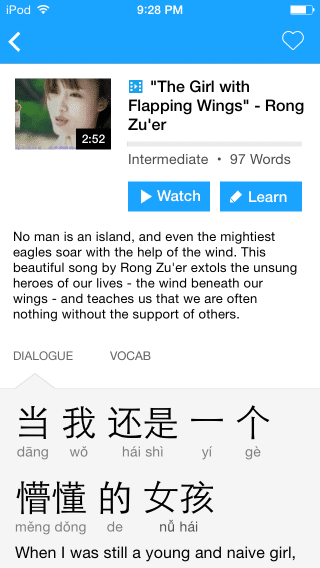 “Pleasant Goat and Big Big Wolf” can be used to work on spoken word and hanzi association as well as listening skills. “Super Wings!” is a bit different than other shows we’ve covered. This show was co-produced by South Korean, Chinese and American production companies. It’s been dubbed in a ton of languages, the original being Mandarin Chinese. This is definitely reflected in the show, which seeks to teach kids about cultural diversity, tolerance and empathy. iQIYI hosts most of the original Chinese-dubbed episodes along with Chinese subtitles. Keep in mind that “Super Wings!” streaming may not be available in your country. Alternatively, you can watch the English version of “Super Wings!” on Netflix. While this version is in English, there are lots of episodes that take place in China and discuss Chinese culture. Even though many of these shows are geared toward children, adults can definitely find them useful and even entertaining when learning Chinese. There’s no harm in having a little bit of fun while learning a new language!